Nick Nolte has had one hell of an impressive career and so has Robert Redford. Redford an Oscar nominated actor and Oscar winning director, credits from films such as The Sting, Ordinary People, Inside Daisy Clover, Butch Cassidy and the Sundance Kid and Out of Africa. Nick Nolte a 3 time Oscar nominee himself with credits from films such as Weeds, The Prince of Tides, Cape Fear, The Thin Red Line Affliction, Hotel Rowanda and Warrior. Any movie you put these two together in is sure to be fine quality. 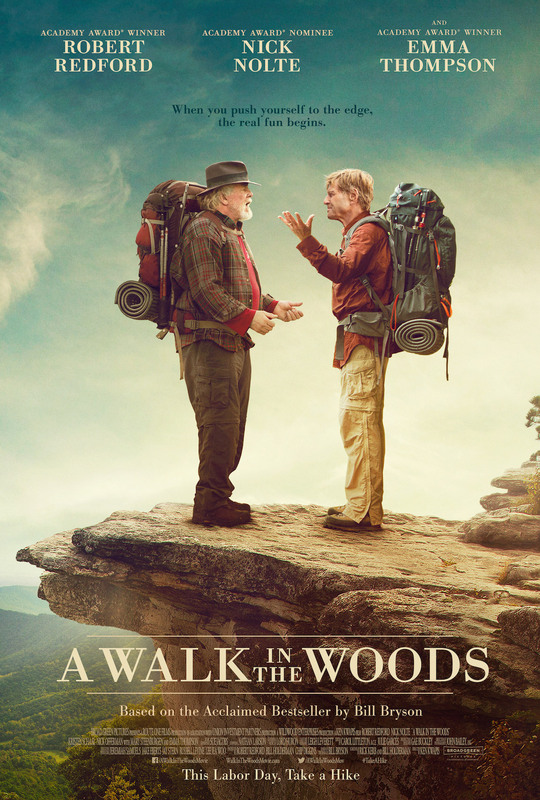 However here in A Walk in the Woods you get a very disappointing film about…AGING REALLY with nothing really to show. This fine story is based on the true events of Bill Bryson (Redford) a travel writer who has written many books over his long career but now he’s at a crossroads of sorts. He gets the inspiration to walk the application trail and he brings along an old Buddy of his (Nolte) who is aging just like him. The two embark on the trail and reminisce as they journey this 2.000 mile path. The story here was very dry. I mean I didn’t really get much of what the purpose was I mean I know it was about aging. It’s not really compelling at all. Nick Nolte is truly getting old now I mean from his old days to now something went mad wrong with his voice. The man needs to retire his voice is getting so bad and he’s getting really terrible roles now. Redford however wasn’t bad here and really likable. Emma Thompson was ok here. Nice cinematography. Ultimately though it’s a lackluster disappointing film that doesnt really have much to talk about. This needed better direction and just a better script. Skip this please you will be doing yourself a favor.